Bruce was on the writing staff of ABC's "My Wife and Kids" when America voted it the best sitcom at "The People's Choice Awards." Bruce was a Producer on the staff of "The Wayne Brady Show" when it received an Emmy nomination for "Best Talk Show." Dec 8 The Laugh Pack! Jan 25-26 The Laugh Pack! Feb 15 The Laugh Pack! Feb 23 The Laugh Pack! Mar 23 The Laugh Pack! Apr 1 The Laugh Pack! June 20 The Laugh Pack! Feb 8 The Laugh Pack! 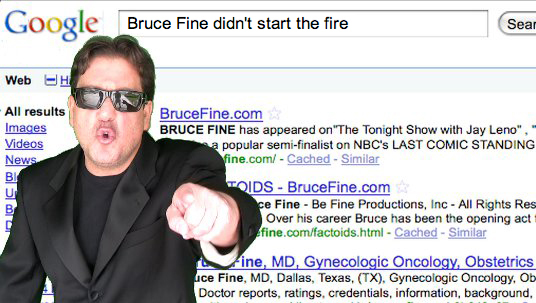 Susan Avery of AOL's Parent Dish interviews Bruce about "We Still Didn't Start the Fire" video. Watch Bruce's "We Still Didn't Start the Fire" video. Directed by Asher Glaser. Come out to a Bruce Fine show. See full schedule. 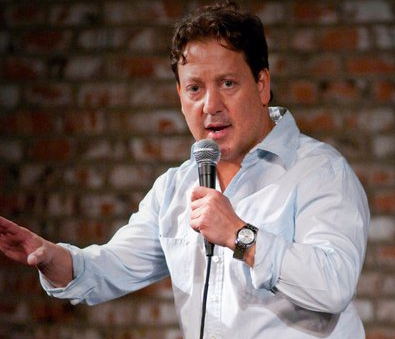 A Block Buster Variety Show created by Bruce.